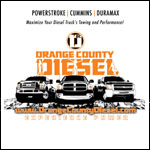 Twice as thick as the stock unit and made from forged steel, the BD Power 1041210 FleX-Plate 1994-2007 Dodge 5.9L Cummins is precision-balanced and SFI-certified for use in race sanctioning bodies. Plus, a new black oxide coating resists corrosion, and prevents hydrogen embrittlement that can cause cracking. The BD FleX-Plate is a direct, bolt-in replacement for the stock converter and is also compatible with most aftermarket torque converters. 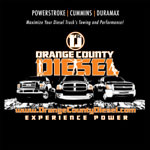 OC Diesel offers Professional BD Power BD-1041210 Installation.